There were several articles out there on the World Wide Web that I thought were interesting enough to share for this week’s Thursday Drive-By. 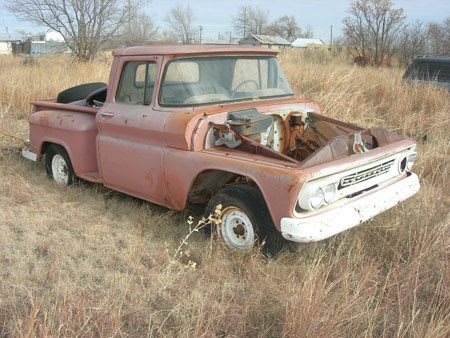 From old customs to new Jeeps that look old, and from old advertisements that show old cars when they were new vs. a junkyard that features once new cars that are now old, you’ll see and read it all by checking out the links below. Feel free to leave comments below. And if there’s something you’d like to see in a future installment of the Thursday Drive-By, let us know about that too! Stylish Kustoms had a post filled with some great pictures of historic lead sleds. The pictures, taken in 1985, were shared by one of the readers there. Among them is the R & C Dream Truck, which was built from a 1950 Chevrolet pickup. 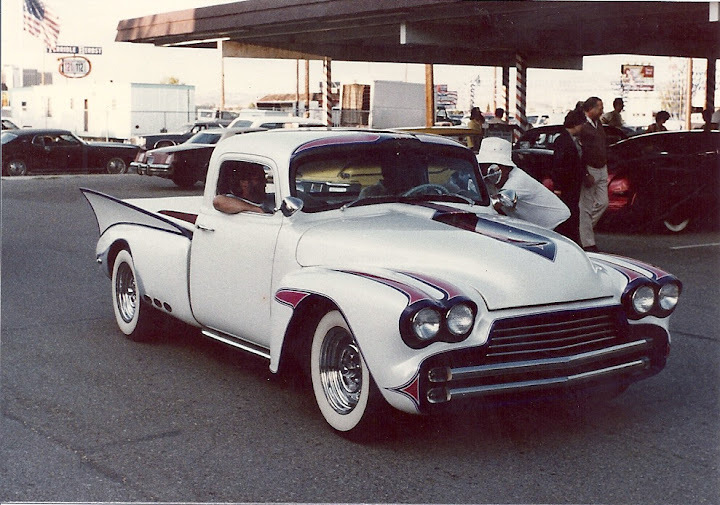 The build was documented in Rod & Custom Magazine starting in 1953, and the truck went on to win several awards and was featured in numerous other publications. It remains as one of the most well-known customs ever built. It’s pretty cool to see it out and about at what looks like a normal car cruise. See all the pictures here. Midwest Racing Archives does all kinds of long, detailed stories about the early days of racing. If you have a lot of time, it is a great place to learn some great history. 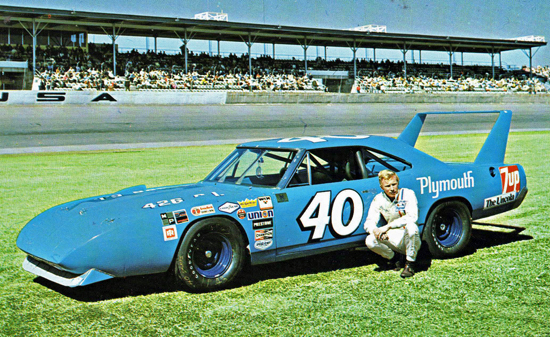 One post that caught my eye was a piece on the Plymouth Superbird, which dominated NASCAR and ARCA superspeedway racing from about 1969 to 1972. Eventually, the rules were written in such a way that the winged warriors became uncompetitive. But it was amazing that such a radical car ever made it to the track in the first place. You can read more and see pictures from this fascinating period in stock car racing history by visiting this link. Phil Foraday from Automobile Magazine did a post on Jeep safari vehicles. Jeep brought several concepts to the annual Easter Jeep Safari held in Moab, Utah. Among them was the Mighty FC Concept, which looks like a vehicle the company produced in the mid-1960s. I like this story because it 1) Has a bunch of pictures, and 2) addresses some of Jeep’s history. I like articles that deal with automotive history, even though they don’t get a lot of play when I post them here. It’s good to see a taste of that in mainstream automotive media once in awhile. See the whole story here. OK, this is a weird one, I admit. This piece on 1955 General Motors vehicles is from Autorevue. Autore-what? Exactly. I don’t have any idea what the text says. Hell, I don’t even know what language it is. 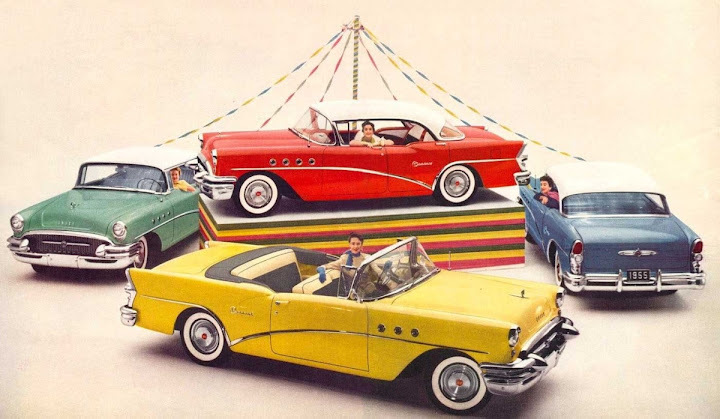 But I know what 1955 Buicks, Cadillacs, and Chevys are when I see them, and I like vintage promotional photography. Study the pictures and get a steady dose of all-American nostalgia in what appears to be an unlikely place by visiting this link. For readers of Old Cars Weekly, Ron Kowalke is known as Salvage Yard Ron. Ron has a recurring feature where he visits various salvage yards and writes reports about all the rusty treasures waiting to be discovered. In this one, he visits Matador, Tex., where he finds a bunch of cool stuff. The yard is long closed, however, so the jury’s still out on what’s going to happen to all the cars and parts. Ron went into detail about some of the vehicles, and he took a few pictures for those of us with short attention spans. See what it’s all about by visiting this link. Doggonit Mr Hover, like I dont already spend enough time in front of this screen! Great links ; I too love history articles. Love the Jeeps. The junk yards make me sad...and Autorevue appears to be Czech. Will look at them in more detail later, but Thanx as always for the post. Google translate identifies the language in the Autorevue article as Czech. The '69 Tempest with the OHC Sprint motor has GOT to be a rare duck, and it seems to be a 'post' car, not a hartop. NEAT FIND! 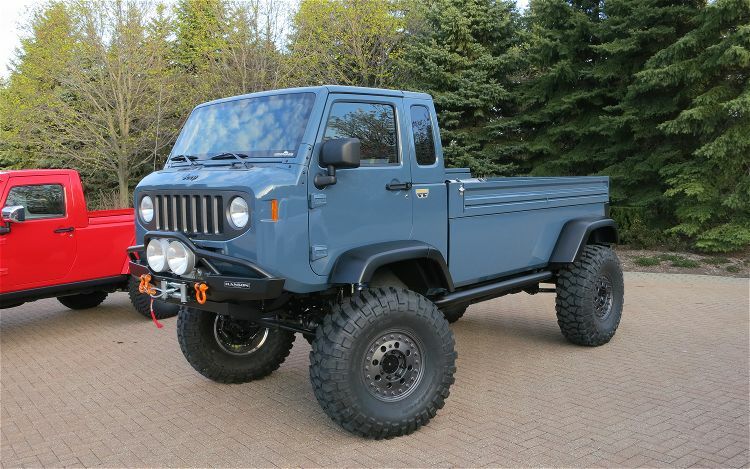 Well, had a chance to look at the links in a bit more depth... That J12 Jeep concept is something that I can easily see myself doing something stupid and going into debt for should they produce it. I even called my local dealer with whom I am acquainted to enquire...nothing official yet. I'd buy a set of those wheels right now for my XJ if I could! But man that Jeep makes me glad! another great post about some of the obscure, the famous and infamous rolling on 4 wheels.